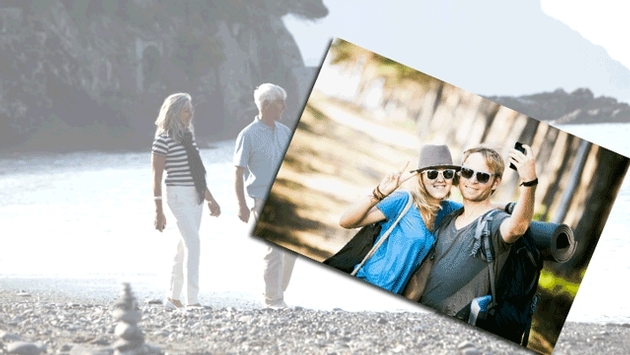 For the past 10 years, the travel industry was focused on Baby Boomers, who were considered the most lucrative market. As Boomers got older, it was assumed, they would have more time and more money to travel. That certainly has been the case over the last decade, and boomers continue to be a major market for travel. But now the industry may want to refocus on the often forgotten Millennial or Gen Y traveler, at least according to the 2014 Portrait of American Travelers, an annual survey by MMGY Global, a travel marketing services firm. According to the survey, Millennials those between the ages of 18 and 35 will be the driving force behind the continued recovery of the U.S. travel industry. They are also expected to spend incrementally more on travel services than any other age group over the next 12 months. The survey found that 24 percent of Millennial travelers are planning to take more overnight leisure trips in the next 12 months, versus 14 percent who are planning fewer trips, a net difference of 10 percent. This compares with a negative net difference of 1 percent for Boomers, and negative net differences of 3 percent and 6 percent for Matures and Xers, respectively. Gen Yers also plan to spend significantly more on leisure travel services in the next 12 months, well ahead than any of the other generational cohorts: an average of $887 on a previous-year base of $4,499. Gen Xers intend to spend the second highest increment: $666 on a previous-year base of $4,341. According the MMGY Global, both trends are consistent with the manner in which Millennials view the sanctity of their vacation time. Last year they took an average of 4.6 overnight trips for leisure purposes versus an average of 4.2 trips for all U.S. households with an annual income over $50,000. All this could be good for travel agents. In an earlier survey for the American Society of Travel Agents on the value of using a travel agent, MMGY Global found nearly 60 percent of Millennials who used travel agents believed that their vacations were better than those organized without their assistance. The study also found that consumers that use an agent travel more average 4.7 trips than consumers that don’t use a travel agent average 3.6 trips. On the other hand, Millennials’ travel interests don’t always extend to more distant destinations. Gen Yers are more likely to have taken a “staycation” during the last 12 months than all other travelers. Thirty-three percent took at least one vacation within 50 miles of their home, versus 27 percent among all other leisure travelers. One third said their choice was made to save money to take a more substantial vacation during the year ahead. The MMGY Portrait of American Travelers, now in its 24th year, reflects the lifestyles and travel behavior of approximately 57 million American households who spent an average of $4,429 on leisure travel in the last year. Collectively, they represent nearly $240 billion in U.S. travel spending. The survey polls 2,550 active leisure travelers who reside in households with an annual income of $50,000 or more and who have taken at least one leisure trip of 75 miles or more from home during the previous 12 months on which they used overnight accommodations. via Survey Says: Millennials Now Drive Leisure Travel in U.S. | TravelPulse. This entry was posted in CMOs in Travel, Online Travel Agency and tagged Travel, United States by Jemma Neethling. Bookmark the permalink.